You simply can't sum up a country in a book. 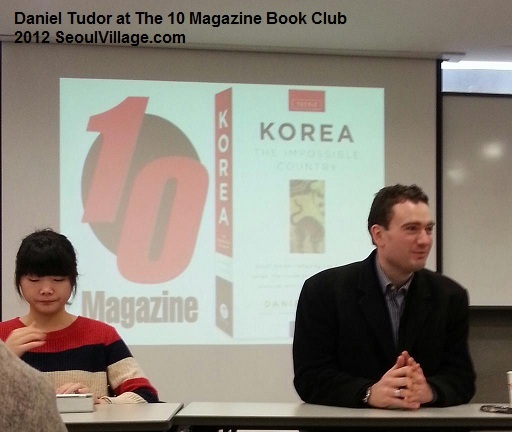 Daniel Tudor clearly doesn't pretend to sum up Korea in his first book. To start with, "Korea: the impossible country" is not a guide. And "pretentious" is the last word that comes to mind when you meet such a nice guy. How could you not like someone with a contagious smile, and a true love for Korea (it goes without saying that Tudor's not a great fan of K-pop)? And if you believe his background looks too serious, think twice: here's an Oxonian (like Oscar Wilde or Aldous Huxley) who works for the only satirist magazine that tackles business (The Economist). Speaking of tackling: the man even likes football! I mean real football, the sport known as 'soccer' in the parts of the world where 'football' apparently refers to a computer game for geeks with a short attention span and featuring cyborgs making the most of subliminal breaks during TV commercials. Did I mention the fact that Tudor was born with the name of a King? Daniel, a Mancunian of the Red variety, changed his family name from Cantona. Well. I'm not sure about that last one but hey, I'm not a journalist, fact checking's not my forte, and I didn't even read the book ahead of this 10 Magazine Book Club event! Sue me. In my defense, "Korea: the impossible country" was only released a couple of weeks ago. I must say that because you must think I never read anything: this week, it's the second time I attend a book meeting without reading the said book in advance*. When asked by a large and friendly book-loving audience about his own reading habits, Daniel Tudor answered that he didn't read as much as he'd like to (something to do with him being a journalist, upcoming elections, and upflying rockets, I guess). But he does read. 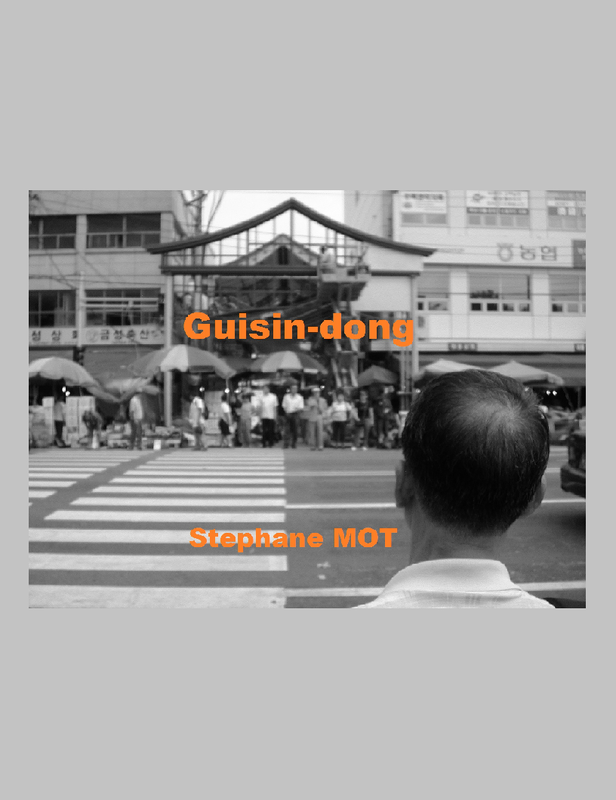 And yesterday, he repeatedly praised a book that inspired him and helped many people better understand Korea. If you can't sum up a country in a book, you can give outsiders precious keys, and Michael Breen opened the way in 1998 with "The Koreans"**. In his own impossible portrait of the impossible country, Tudor decided to start with the foundations, and to combine his brush strokes with other voices, that of Korean personalities he interviewed. Could he keep all the material he had in the book? Of course not, just like the lively discussion at the Book Club could have continued for hours. Does that leave room for the unexpected? Of course, just like this activist with a megaphone down the street, who chimed in at the very moment Daniel was talking about the presidential campaign! For all of the nation's political, economic, and social divisions, Daniel Tudor remains confident in Korea's ability to come together, to bounce back, to be fun, and to surprise us again. Maybe because, even when it has nothing else, Korea always has the Koreans. The author introduced "Korea: the impossible country" as a "welcome to Korea" book, but it also seems to be a love letter to this impossible country, to its wonderful people. A love potion for those who have yet to discover both? * Get the book: "Korea: the impossible country"